Be sure to update your links! Finally finished with the modeling/texturing. Again, Kim Hazel modeled the head and hair based off my designs/sculpt and I modeled the body and textured the entire character. There's still a few tweeks to the texture I need to make, but for the most part it's done. 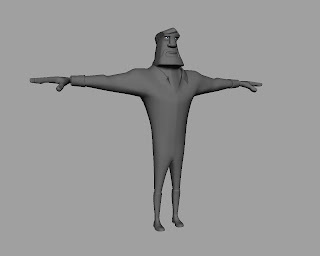 The next step is to rig him up and create his blendshapes. Also, plenty of things still do do in other parts of the project. The trailer for "Ratchet and Clank Future 2: A Crack in Time" is out! For those interested, I do have a few shots of gameplay in there and one cinematic shot (the one of Dr. Nefarious saying "part of me wants to let you live long enough to find out. The other part...really wants to KILL you!!"). The animation in this game is definitely some of the best in the games industry and in my opinion some of it rivals film! But then again...i have a somewhat biased opinion. Be sure to check it out when its released later this year! 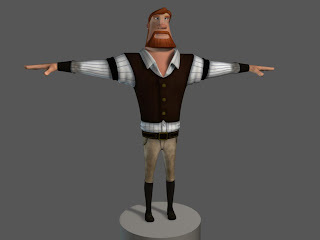 Ive been working on modeling a new character for a side project. 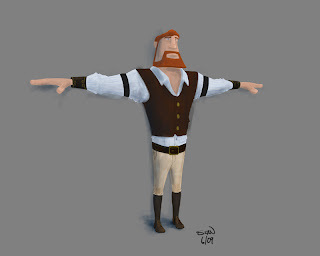 Here is a paintover of the mesh so far. Hopefully ill be able to post the 3D version soon enough. 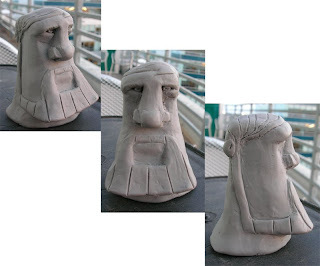 Ive been getting a tremendous amount of help from Kim Hazel, who has modeled the entire head based off my sculpt. The body was left for me to work out. I was notified a few days ago that i was accepted into the San Diego International Children's Film Festival at Comic-Con! The festival takes place July 24-Aug. 16 at the San Diego Museum of Art, Comic-Con International at the San Diego Convention Center, the Museum of Photographic Arts in Balboa Park, the Carlsbad Dove Library and the New Children's Museum in downtown San Diego. "Scratch" will screen Sunday July 26 in our custom theater in Room 10 at Comic-Con International. 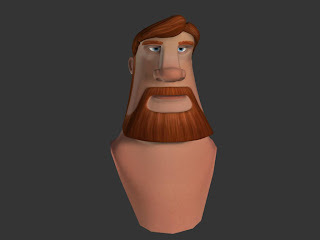 The first half with all the internal clock workings was done entirely by Ryan Kamins and the second half, with the character that takes off into the distance, was animated by Corey Peagler. Cant wait till its released and i can show you more stuff! Gonna be cool! EDIT: I had originally credited Grant with the first half of the teaser. I was incorrect! It was Ryan Kamins. 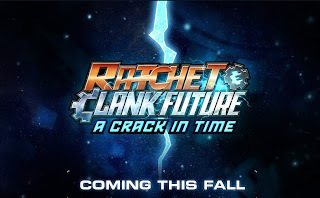 Well folks, it's officially been announced-the game i've been working on for the past few months is none other than Ratchet and Clank Future 2: A Crack in Time (whew, mouthful!). Its gonna be a great game and diehard R&C fans will most definitely love it! The Teaser will debut tomorrow night on SpikeTV on gametrailers. If you miss it, it should be on the web by next week.